That something in the air you sense during a scary movie? That could well be isoprene. At least that's the finding of a German study of air composition in movie theaters. Researchers at Max Planck Institute for Chemistry measured the volatile organic compounds in the air during film screenings. Isoprene is released by muscles as we move, and the levels of that compound detected during movies from a variety of genres correlated with the age ratings the movies received under the German rating system. They speculate it could well be used to develop a more scientific method for rating movies, which is now a highly subjective exercise. “Isoprene appears to be a good indicator of emotional tension within a group,” said Jonathan Williams, a group leader at the Max Planck Institute. The findings were published last month in PLOS One. 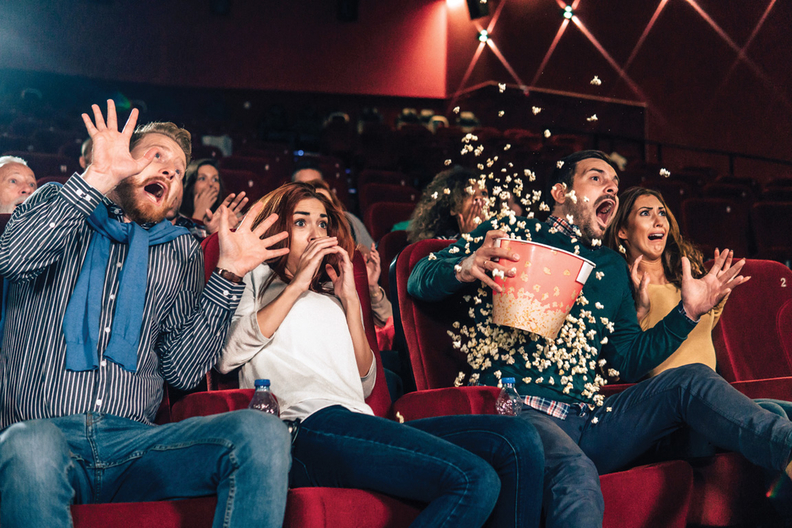 Since the chemical is released as people move, it's possibly an indicator of nervousness when people wiggle or become fidgety during tense movie scenes. A mass spectrometer attached to vents was used to detect isoprene and other volatile organic compounds at the screenings. “Evidently, we involuntarily squirm back and forth on our cinema seat or tense our muscles when we become nervous or excited,” Williams said.